I am thrilled times a hundred to finally be able to share these! They have all been dropped in the mail and everyone receiving one should be getting theirs soon. My mom and Jeff are getting married this summer—something we anticipated but also didn't expect—and it's going to be such a beautiful wedding. My mom is a gardener and vintage lover, and the garden setting for the whole event suits her perfectly. 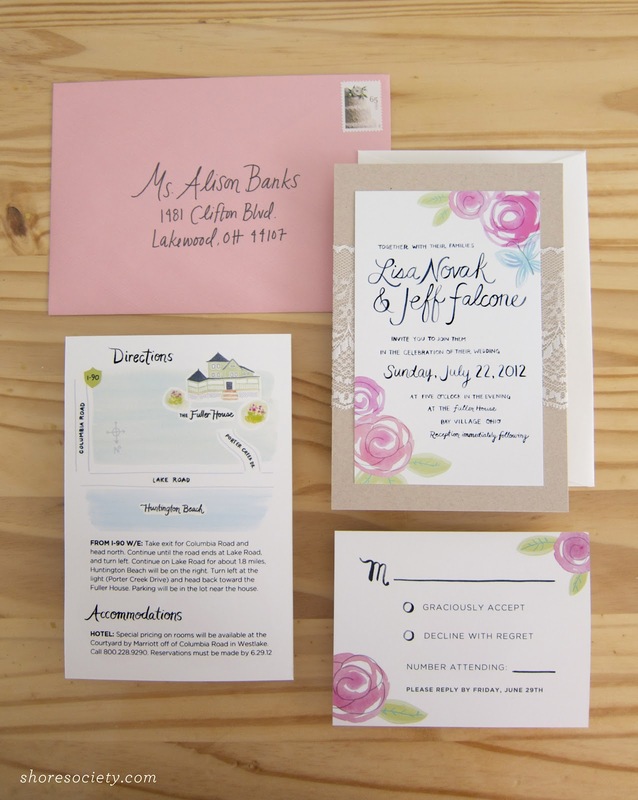 The ceremony and reception will both be outdoor, with delicious café-style food stations, an outdoor bar, and room to party on house's wraparound porch. It will be beautiful, but relaxed and summery—which reflects both of their attitudes so well. 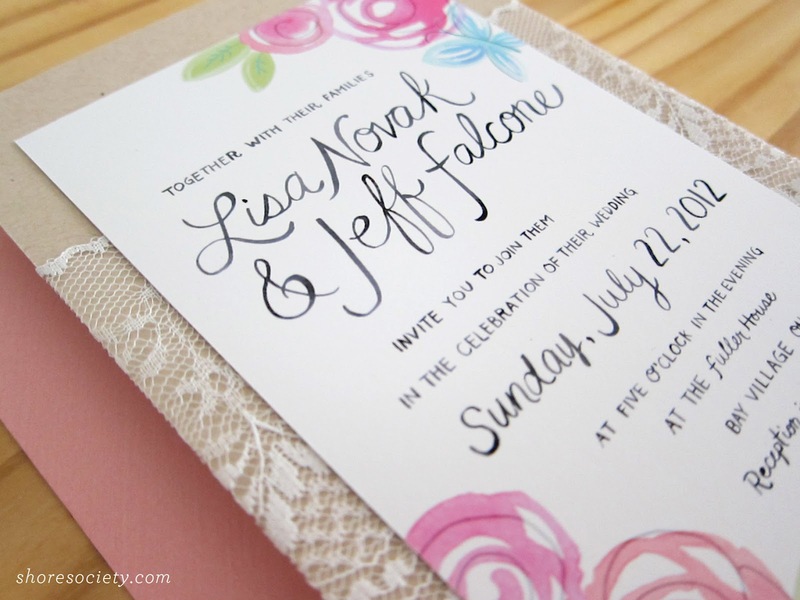 I wanted to bring in the elements of a pretty floral garden, painted in watercolor with plenty of hand lettering. 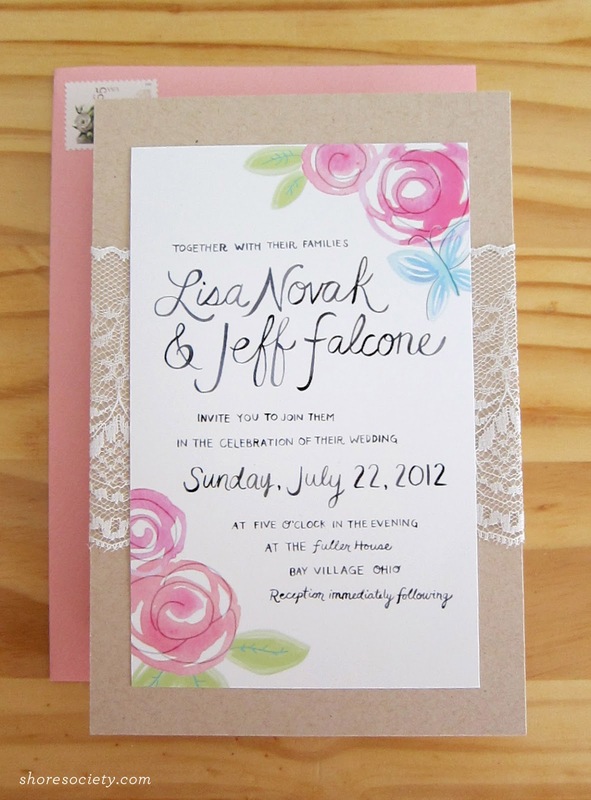 My mom and I decided to incorporate lace, so I paired it with kraft paper for a look that felt feminine but relaxed. I printed them myself on my Epson printer and we assembled and addressed each one lovingly by hand. Since the Fuller House is a part of a parks system, it made sense to create an illustrated map to help guests find it more easily. Plus, the house is so cute and it was a good excuse to paint it! This sheet also had driving directions, and information about the hotel reservations for those traveling to Ohio. I hope my mom is as happy as I am with the way they came out (I think she is)! It feels like a huge relief to know this part of the planning is done, and we can move on to the next project. I've been helping with decor, wardrobe, setup, food—so there's plenty more to do. Let the countdown begin! This is all quite beautiful! 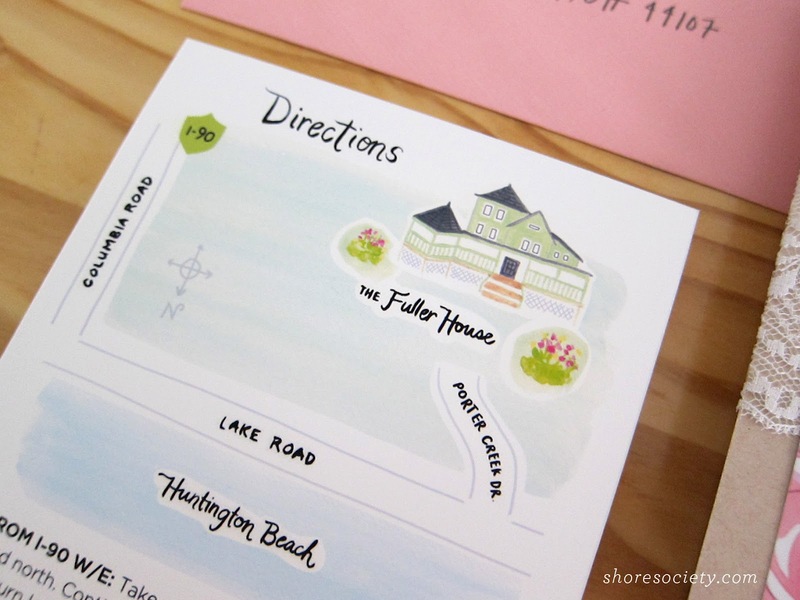 The directions card is darling too. I love it. These are gorgeous! 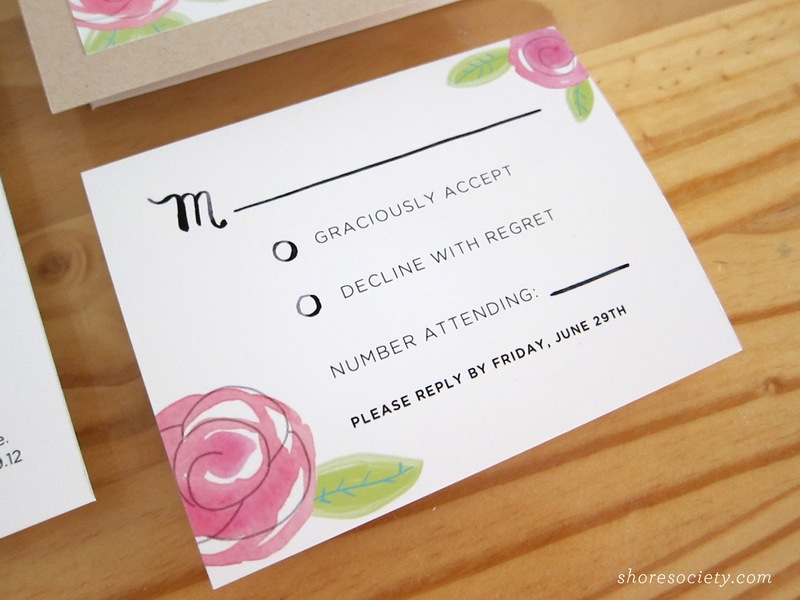 Do you do a lot of wedding invites? This is my first time! Love doing them - it's so fun to coordinate a set. These are amazing in every way. And I'm not just saying that so you send me a buckeye apple. Love these! I especially love the little map. I did something similar for my wedding and it was a huge hit. I'm sure you'll get lots of good responses!